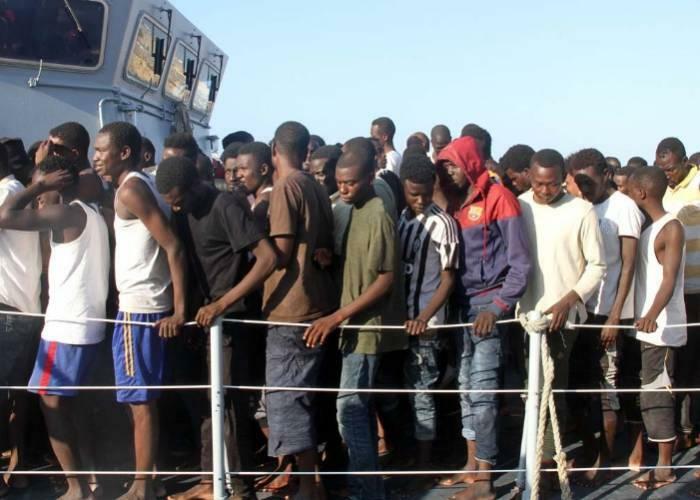 Italy dug its heels in on Saturday after conservative Interior Minister Matteo Salvini refused to let 450 migrants aboard two military vessels dock at Italian ports, marking the country's latest stand against the large-scale influx of predominantly North African refugees. 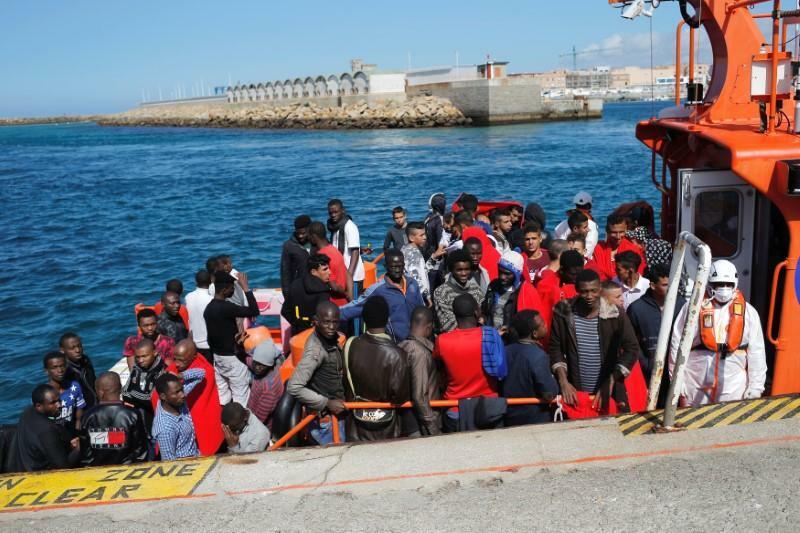 The migrants had originally set sail from Libya in a single wooden vessel which was identified early Friday as it passed through Maltese waters. After being denied safe harbor in Italy, they were transferred to the two separate vessels near the Italian island of Linosa - close to Malta, after which Salvini suggested they "head south, down to Libya or Malta." 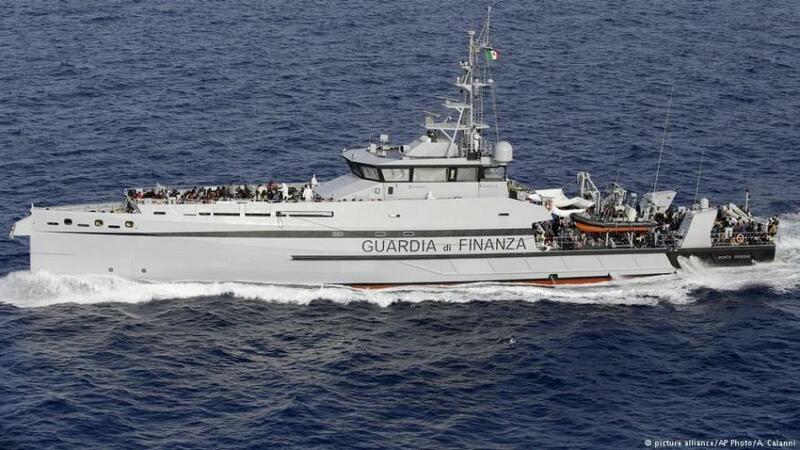 One of the two ships is operated by EU border agency Frontex, while the other belongs to Italy's tax police. 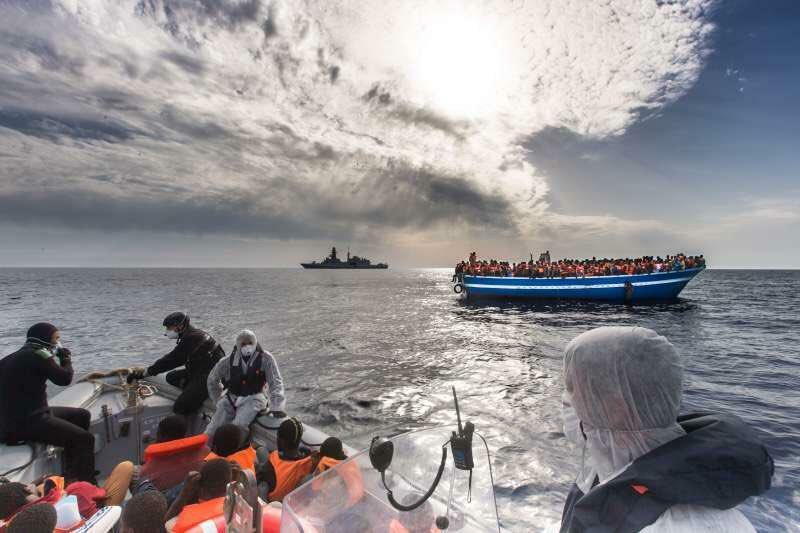 "We need an act of justice, of respect and of courage to fight against these human traffickers and generate a European intervention," said Salvini during talks with Prime Minister Giuseppe Conte. "Germany and Italy have agreed that, in view of the ongoing talks on closer bilateral cooperation on asylum, Germany is ready to accept 50 people in this case," a German government spokeswoman said on Sunday. “This is the solidarity and responsibility that we have always asked of Europe and now, after the results obtained at the last European Council, they are beginning to become reality,” Mr Conte wrote in a Sunday afternoon Facebook post, adding "Let's continue on this path with firmness and respect for human rights," he added. Conte's comments were not well received by the Czech Republic, who refused his request as Andrej Babis, the prime minister, tweeted that the approach was the "road to hell" - adding that boats carrying migrants should be turned back, and that migrants should be helped within their own countries. Germany's agreement to take 50 migrants follows an announcement by Interior Minister Horst Seehofer that the Bavarian state police would begin granted authority to patrol the southern border with Austria as part of a new series of measures aimed at resisting migrant arrivals. Seehofer threatened to resign earlier this month if Chancellor Angela Merkel could not arrive at a European solution, or to let him implement tougher border security measures. The debate which threatened to tear apart Germany's coalition government, an agreement was reached on how to control the influx of migrants from the German-Austrian border. Italy's Conte, meanwhile, says that his country is willing to help the migrants as long as other EU members share the burden - while Salvini said that he will allow a few children and mothers to disembark in Sicily. "I am monitoring the situation of two ships travelling in Italian waters... there are 16 mothers and 11 children who will disembark in the next few minutes, hours...," Mr Salvini said in a statement to TV channel RaiNews24.